Pain is Mother Nature’s way of letting you know that something is wrong. And in the case of a toothache, the message usually comes through loud and clear. 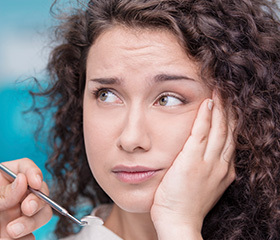 A severe toothache cannot and should not be ignored, because the pain may be telling you and Dr. Bannan that you have an infected tooth. To eliminate your discomfort and preserve the tooth, root canals in South Daytona are often the solution. Many people have the wrong idea about a root canal, thinking that the procedure itself is painful. Nothing could be further from the truth. 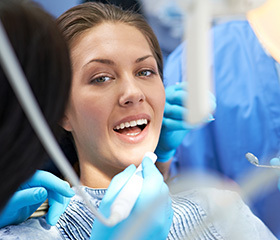 A root canal is designed to remove infection from deep within a tooth, and thanks to modern anesthesia techniques and advanced dental instrumentation, the process is almost completely pain-free. The inside of your tooth, called the pulp chamber, is surrounded by protective layers. However, these layers are not impenetrable. Despite the hardness of tooth enamel—the outermost layer—and the additional protection of dentin in between, bacteria can make their way to the pulp chamber and its attendant root canals. Severe tooth decay, a deep crack or a break in the tooth can create an opening that gives bacteria access to this extremely sensitive portion of a tooth. If you experience any of these symptoms, call South Daytona dentist Dr. Bannan to schedule an appointment. Avoiding treatment may eventually necessitate extracting the tooth in order to avoid the spread of infection. After administering a local anesthetic, Dr. Bannan drills a small access hole in your tooth and uses special instruments to clear the infection. The entire contents of the pulp chamber and root canals are then filled with a biocompatible substance that prevents the re-entry of bacteria. Finally, the pulp chamber is sealed and the tooth is readied for a dental crown. Contact Water’s Edge Dental today if you are experiencing any of the symptoms listed above. Located in South Daytona, FL, we also serve the areas of Daytona Beach, Port Orange, Holly Hill, Ormond Beach, Edgewater, and beyond.